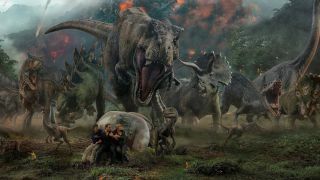 If you’re a fan of films like The Fast and The Furious, Kung Fu Panda and Jurassic World, we’ve got some good news: Universal Pictures Home Entertainment (UPHE) has penned a deal with Samsung to create HDR10+ content for compatible Samsung and Panasonic TVs. Said content will include both new titles from the film studio as well as potential remasterings of shows and films from Universal Pictures’ library, which includes the How to Train Your Dragon, Back to the Future and Halloween franchises. While the collaboration between the two companies is advantageous for anyone with an HDR10+ TV, it’s also a decisive win over Dolby and its Dolby Vision platform - for the last few years, Dolby Vision had a wide lead in terms of supported content, but this deal could help Samsung and the HDR10+ Alliance gain some ground. Unfortunately, however, Universal Pictures Home Entertainment has only announced that it will adapt some of its library to HDR10+, but hasn't stated which films from its catalog would get the bump up to HDR10+. Still, this deal should provide a ray of hope for anyone who has invested in an HDR10+ compatible TV from Samsung and Panasonic and has been patiently waiting for something – anything – to actually watch in the sharper format.